The device with diamonds and a little Midas touch will be available as the only unit of its Discovery 925 and is likely to go under the hammer. The money raised at the auction will go for the Elle Charity. However, the number of diamonds layered on the headset and diamond grading details remain undisclosed, but the blinged-out headset is certainly a beautiful handiwork that redefines opulence. 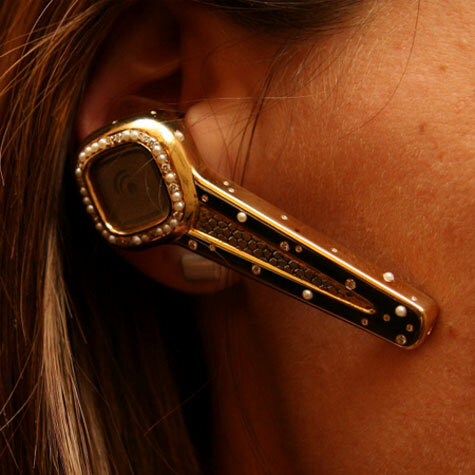 Regarding pricing, word is around that the gold and diamond-encrusted headset is priced at $50,000. The world’s most prestigious customization company has added a glittering new range of diamond encrusted Blackberry Pearls to their range of luxurious diamond encrusted mobile phones. With three different models on offer, the range will appeal to even the most discerning customer. The Model 1 (Pearl Gold Edition) comes in your choice of solid white gold, yellow gold or platinum. The Model 2 (Pearlific) is made from solid gold with intricate diamond pattern designs. The Model 3 (Pearl Diamond) is modeled in solid gold and hand cut diamonds. 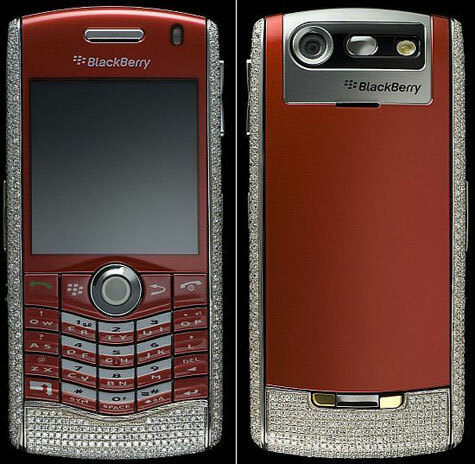 The Blackberry Pearl Limited Diamond Edition has the sides and bottom adorned with 18k Solid White Gold. Approximately 900 brilliant cut diamonds of 12ct have been used to beautify the phone. The Amosu Blackberry collection is custom made and handcrafted using exceptional materials and the finest craftsmanship. Each piece takes four weeks to complete. Diamond-encrusted USB flash drive being offered by miiSTOR. 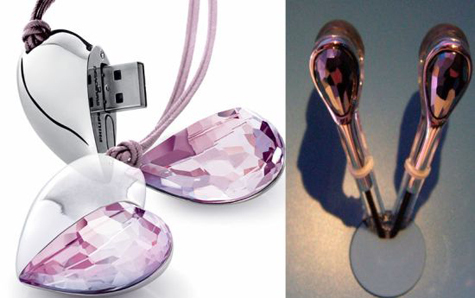 Dubbed ICE, the glittering USB drive is made of Hallmarked platinum and is hand-set with 456 white diamonds. Beautifully crafted, tactile, and expressive, the ICE USB drive is available on request only and costs a cool £15,000. 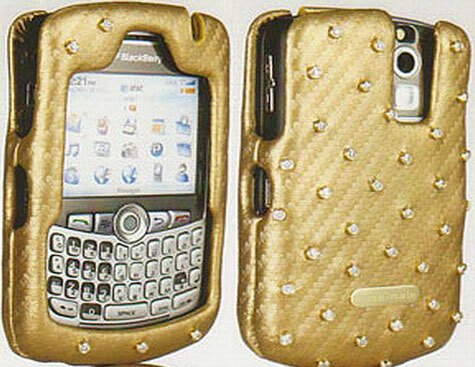 Exclusively on display at CES is this diamond encrusted case with 3.5 carats and 15 grams of gold that will give your BlackBerry Curve that pimping look. It’s valued at $20,000 and will be given away to one randomly selected winner tomorrow at CES. 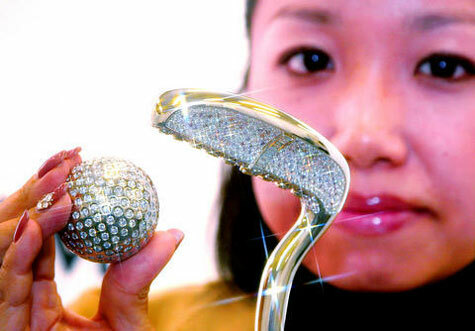 Philips has been making overpriced but Swarovski-encrusted accessories for women for a while now. Today, the company introduced some new colors for its locket/necklace USB-drive and its in-ear headphones: pink and black! Because every woman wants to look like she has pink diamonds inside her ears. 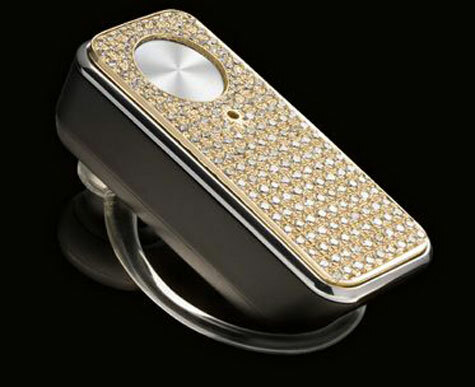 Metallo Design has launched its new Gilty Couture line of gold, silver, and Swarovski crystal appurtenances for the iPod and iPhone. You have the option to select the one that suits you best from the brand’s wide range of precious metal hard-cases. These jewelry quality pieces are handcrafted to enhance and protect your favorite device. The new line features slide-on bezels for the iPhone and iPod touch, available in gold or silver with colored Swarovski crystals. 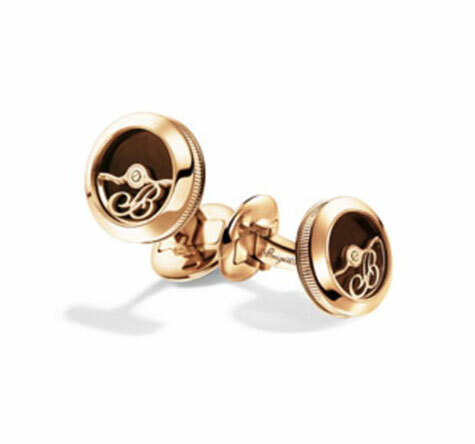 Watch maker Breguet have released a collection of watch themed cufflinks which accompany their watches perfectly on the wearers wrist. The cufflinks are made of in the form of a watch’s case and features an oscillating weight similar to that which Breguet use for their automatic watches. 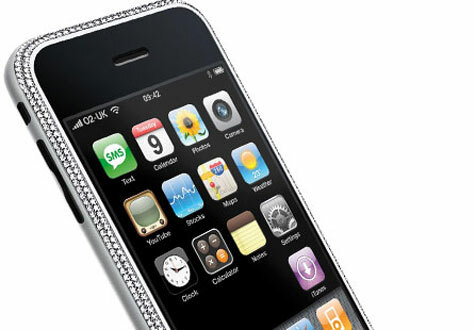 Selfridges & Co in London will are offering a luxury mobile phone service which comes with a 24 carat gold and diamond encrusted Apple iPhone, costing up to Â£20,000 for the touch-screen mobiles with 420 brilliant cut diamonds. There will also be offering exclusive iPhone holders from luxury fashion design houses, Christian Louboutin and Burberry. Platinum Guild International employee Akane Seki displays a platinum golf ball and putter made by Japanese jeweler Nagahori in Tokyo yesterday. The 500g Platinum 900 golf putter head is studded with white and pink diamonds totaling 22.35 carats, while the 165g Platinum 900 ball is studded with diamonds totaling 25.13 carats. The golf set will be displayed this weekend in Tokyo.